Conan The Avenger #8 is the second part in “The Damned Horde” storyline that was started last issue. Conan and a VERY mixed up army set out to rescue the sister of one of their own, who’s being held prisoner by a weirdly SOUTHERN villain. I wasn’t aware that Cimmeria had a Mason-Dixon line. 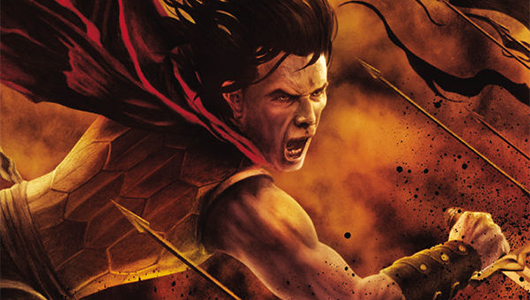 Writer Fred Van Lente delivers another solid issue of Conan. There’s a lot going on this issue, and if you haven’t read part one of this story, I suggest you do so before picking up this issue. First, because it’s awesome; and second, just so you’re up to speed on Conan and his mission, allies, enemies, and victims. This… is the fun part of the story. Where all the action is, where the plan is set into motion. Also, we get to find out a little bit more about the “bad guy” behind all this, as well as the “damsel in distress” that was introduced last issue. There’s some great classic Conan characterization in this issue. Van Lente proves that Conan is many things besides a barbarian. In fact, he’s a LOT more: strategist, leader, motivator, and that’s just the tip of the iceberg. Each and every week, I, “Bob McKenzie!” Henchman 21 and “Doug McKenzie!” Empress Eve read a lot of comics. Seriously you guys, a lot of comics. Maybe too many comics. I mean, it is possible… theoretically. Naturally, we look forward to some more than others. I mean, who doesn’t? So, let’s take a look into the depths of our pull lists, grab some comics, and we’ll let YOU know what the top books to look forward to are for the week of April 23, 2014. Single issues and trades, they’re all here. It’s time to put the spotlight on Dark Horse Comics this week thanks to a new series, an excellent one-shot, and a new issue for one of their best series. There’s not a ton of books this week, but it’s a good time to check out some other stuff. Oh, and Marvel is starting another event this week, if you’re into that kind of thing, which I sometimes am. 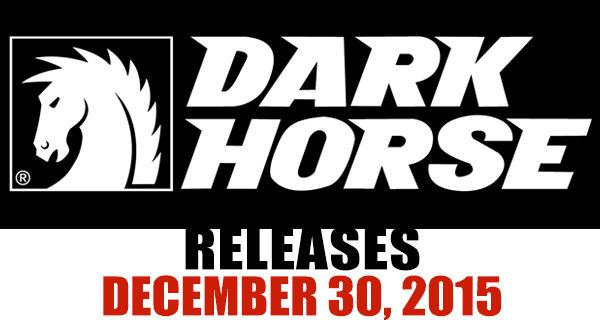 But let’s just focus on Dark Horse this week, and maybe throw in a little DC for good measure. Now if you’ll excuse me, I’ve got hockey to watch, so why don’t you just keep yourself occupied with The GoD List! By Crom! Now this is how a Conan story should read! 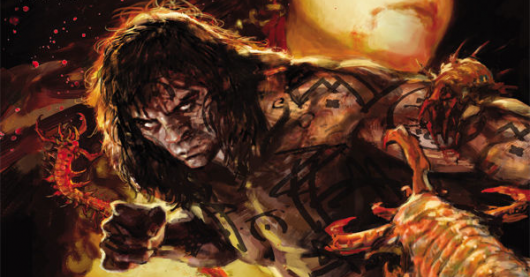 Conan The Avenger #1 has everything you would expect from Robert E. Howard himself. Now granted, it is based upon a synopsis Howard wrote but never completed, but the vast majority of this is original…and awesome! It isn’t just that the writing seems appropriate, it’s that it’s paired perfectly with art that reminds me of the Conan comics from decades ago. Read on my friends for more information.